This week, keeping families together means matching a grant for $50K! God is so good! We have received a challenge match by the J.H Walker Legacy Foundation for up to $50,000. You will literally double your dollar for every gift given towards this matching grant until September 30th. Isn’t God so good? With a growing ministry, two campuses caring for almost 150 children, a church plant and 50 Mexican employees, this couldn’t have come at a better time! With this generous matching grant we will be able to do so much more. Like any growing ministry we have some pressing needs that we just can’t get to with our monthly budget. 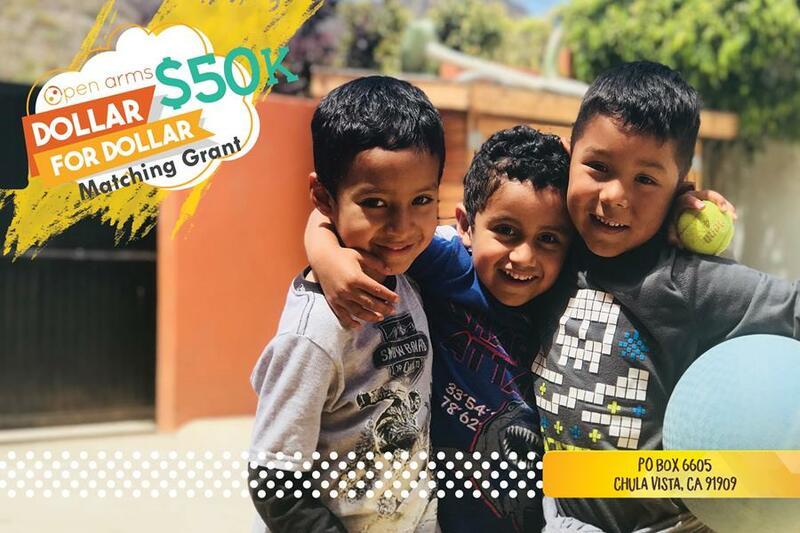 With this grant we will be able to replace a very beat up and run down 10 year old playground at our La Mision campus, and help re-structure and update some of our older rooms and buildings. Additionally, in Camalu, we have begun to build our Dorm Facility to host our mission teams who come to serve our children and community. The dorm facility will be able to host 80 people, several mission teams at a time, as well as two small apartments for families and visiting Pastors. This matching grant will go a long way in moving this project along, so that we can host mission teams by summer of 2019. Additionally, we will be able grow our daycare ministry by accepting more children. When the body of Christ comes together we can do so much for so many in need. Your $25 will be $50. Enough to buy a swing for the playground in La Mision. Your $100 will be $200. Enough to buy 500 cinder blocks for our dorm facility. (10,000 blocks needed). Your $500 will be $1000. Enough to take in 5 new children into our care. Your $1000 will be $2000. Enough to take in 10 new children into our care. Your $5000 will be $10,000. Enough to purchase the whole play ground. Double your dollar and double the blessing as you help expand His Kingdom. May I boldly ask you to give a special gift towards this matching grant? Please write matching grant in the memo. ← This week keeping families together means rejoicing in what God is doing! Can we brag on God? He is so good, and we want you all to know!